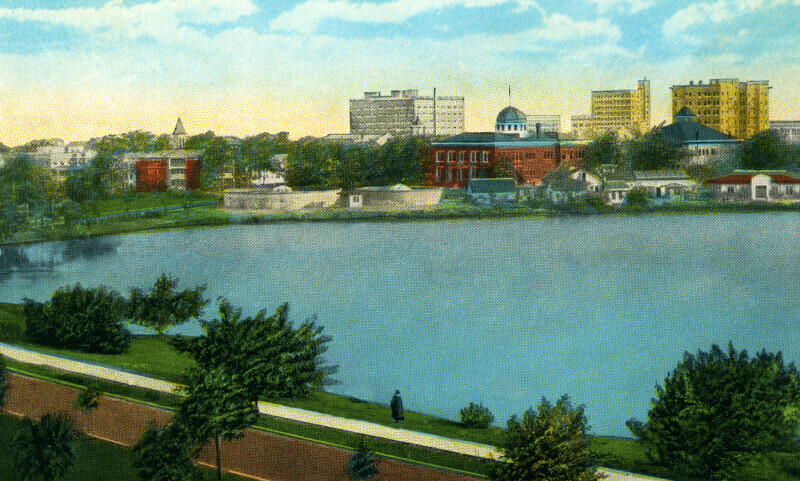 In the foreground, there is a lone person standing near the shore of Mirror Lake. A follows the curve of the lake's shoreline. Across the water, there are many building.